Author Neil Gaiman recently wrote a nice letter for the guardian, stressing the importance of reading in our society, especially within childhood development. Declaring his bias early and often, Gaiman still manages to lay out a well thought out argument as to why reading should be part of our lives and why fiction should not dismissed as useless escapism. I’m really glad that Gaiman, who is certainly one of the more notable and publicly recognized figures in contemporary literature, is such a thoughtful and articulate defender of the written word. I always enjoy hearing his thoughts on fiction and was lucky enough to hear him speak when he came to Chicago as his novel Neverwhere was honored with the city’s ‘One City, One Book’ selection. And his letter to the Guardian is just further evidence on why I always jump at the chance to hear his thoughts. I especially like this passage where Gaiman explains why China finally allowed a party-approved science fiction and fantasy convention in 2007. Check out the full letter over at the guardian. It is a great read. 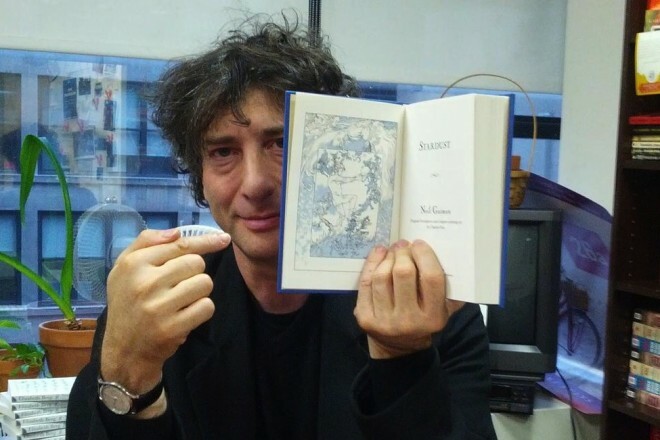 Leave a comment Posted in Author Profile Tagged Neil Gaiman, Neil Gaiman defends libraries, Neil Gaiman on why reading is important, Why Did China Finally Allow a Science Fiction convention?